This card features a picture of a baby with a pacifier on his mouth. 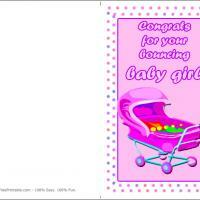 These printable baby cards feature the head of a baby with a pacifier in its mouth with a pink-purple background. 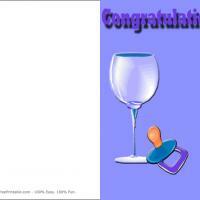 The message of congratulations is written in blue. Print this and fold it in half. 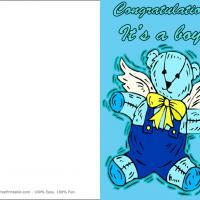 Write your message inside and delight someone who just had a baby with this cute card. 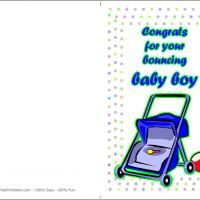 A new baby is such an exciting event; help your friends or family to celebrate with this cute card.